Dr. Jean-Pierre went to Medical School at Université d’Etat D’Haiti. She completed her residency and fellowship in Internal Medicine and Geriatrics at Fondation De Rothchild and Hospital Paul Doumer in Paris, France. She is fluent in English, Spanish, French and Creole. 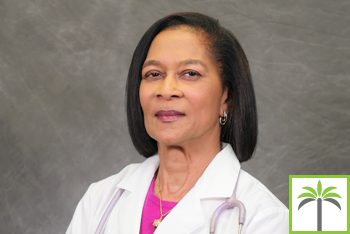 Dr. Lissa Jean-Pierre, has dedicated over 18 years as a primary care physician working in South Florida. She is a strong believer in individualized care that offers optimized health care in every aspect: including nutrition, exercise, functional medicine and preventive medicine. Her passion to deliver five-star detailed patient care demonstrates a greater improved patient care outcome along with high patient satisfaction. Dr. Jean-Pierre is a highly trained medical professional in preventive medicine with extensive experience in caring for the geriatric population in the areas of aging gracefully and dementia care.